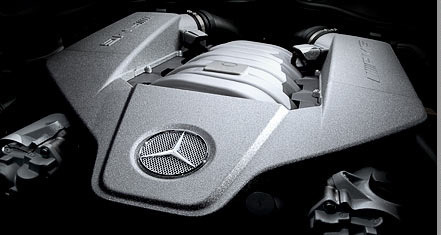 We provide comprehensive Maintenance/ Inspection services according to the Mercedes-Benz factory service schedule for your model, using factory approved service products. Our services maintain your New Car Factory Warranty. There is no need, or requirement, for your new car to be serviced by the dealer. Regularly scheduled A, B, and 10k services for 2000 and later models. Trouleshooting is our forte. Three-time Master Guild technician and former Shop Foreman Dave Ball uses the Mercedes-Benz Xentry Diagnosis System to interface with your car's controller networks. This tester, usually found only at dealerships, allows acess to Trouble Codes set within the approximately twelve to forty modules controlling the vehicle. Actual values from the switches and sensors feeding data to these modules can be displayed and anaylyzed, and devices controlled by the modules, such as motors and valves, can be actuated by the tester to verify their function. We have online programming capability for the latest vehicles. All that information is valuable, but only if you know what to do with it. Dave has Mercedes-Benz dealership experience dating from 1986, and 101 factory training credits including training on the Maybach Limousine and SLR sports car. APEX subscribes to the Mercedes-Benz online information service StarTekInfo, which provides technical resources on par with those available to dealership technicians. Dave has an extensive library of technical materials, collected over the last 21 years, which would be the envy of any Mercedes technician. Tire wear, Vibration and Handling problems. APEX will perform any mechanical repair in the most meticulous manner. Our quality of workmanship is second to none, and we can provide references to that effect. APEX will inspect a vehicle you are considering for purchase. As a Mercedes-Benz Starmark Certified Technician, Dave has been trained to inspect and approve cars for inclusion in the Factory Pre-Owned Vehicle Program. Previous body work and frame damage will be discovered and quality of repairs examined. Repairs and maintenance needed will be estimated for you to use during your negotiation. Dave will be happy to discuss the attributes of various models before you begin your search saving you time finding the perfect car. We help sellers optimize their cars for sale. Given a set budget, we can “pick the low hanging fruit.” Replacing a worn radio knob or attaching some loose trim can give a better first impression to a buyer for a small charge. We may even know someone who wants your car! APEX does not do Body Work or Detailing, but we will refer you to competent providers. We are not a licensed Smog Check Station, but are qualified to repair any emissions related failure. We believe in the Smog Check Program, and will repair your car to meet emissions standards, not just "pass." APEX does not sell "Flushes" nor any other solution for which there is no problem. 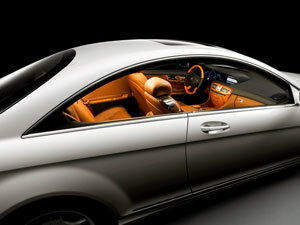 With rare exception, we recommend only services specified by the engineers who designed your car. We will do our best to help you personalize your car, but we do not install products which will increase the emissions of your vehicle, or adversely affect its handling. We know from experience that aftermarket products rarely perform to Mercedes-Benz standards, and that many modifications have unexpected adverse consequences.